Surprise! 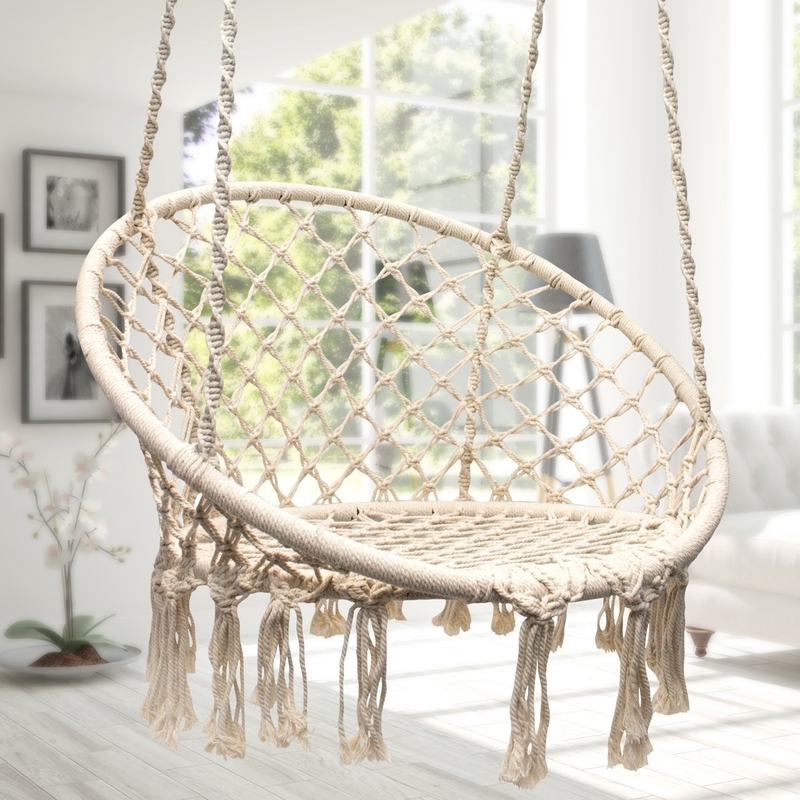 You don't *have* to break the bank to beautifully furnish your home. 1. An upholstered platform bed with wooden slats and footboard so you can have a chic-looking room without having to drop your entire savings. Promising review: "This bed is an example of perfection in design and function. It comes completely disassembled with every piece packaged inside the cavity in the headboard. 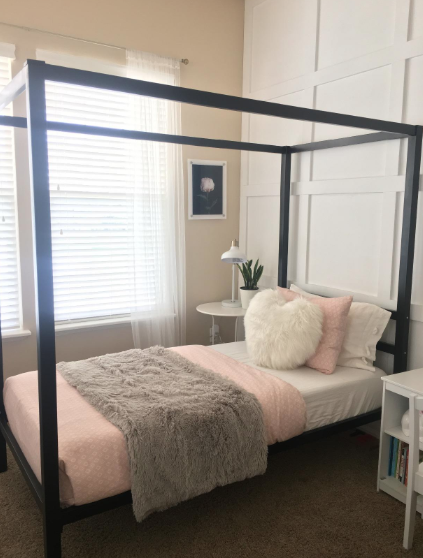 Everything fits beautifully and once you have tightened all the bolts with the provided wrench you will have as good and strong of a bed and frame that you have likely experienced. We bought two full sized models for an infrequently used guest room and think they are perfect. As a foot note, these are heavy, about 90 pounds because of all the metal and wood framing, so be certain to have help to handle the box when it arrives. Also, Amazon shipped this free with our prime membership...unbelievable how good that is! 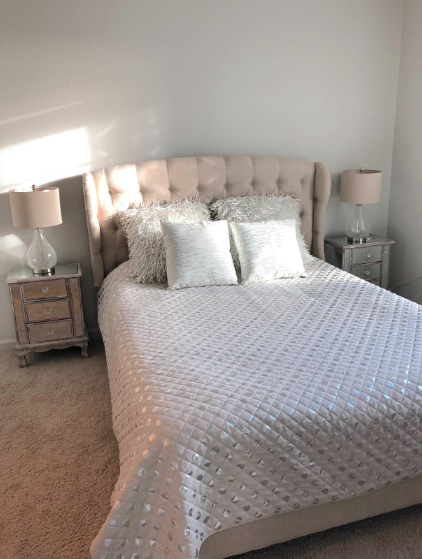 I also paired these beds up with 12" foam mattresses and you do not need box springs!" —Bud S.
2. And a highly-rated (seriously over 18,000 reviews!) mattress that'll make you and your bank account rest easy. BuzzFeeder Emmy Favilla says for the price, this mattress is amazing. 3. A sleek media stand large enough for your TV, cable box, and Disney movie DVD collection. 4. 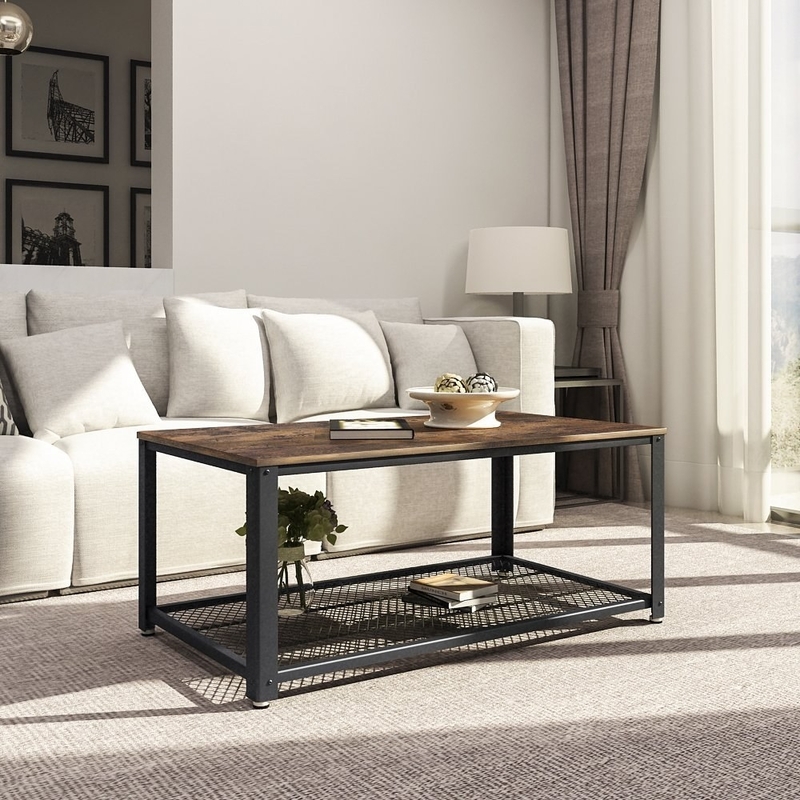 An industrial-style coffee table that can easily fit some cute baskets so you get some extra, much-needed storage. 5. 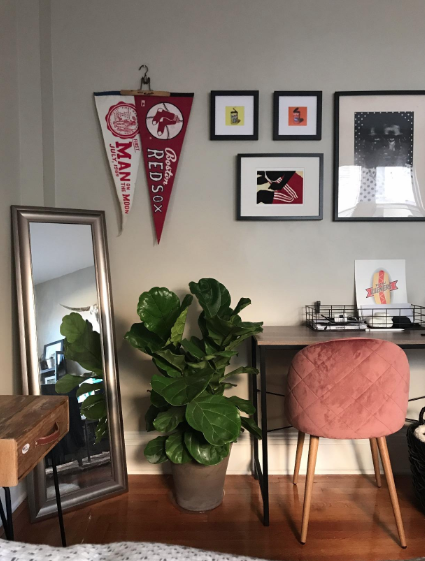 A narrow console table for displaying your best photos, plants, and books — and to finally give that empty wall you have no idea what to do with some decor. 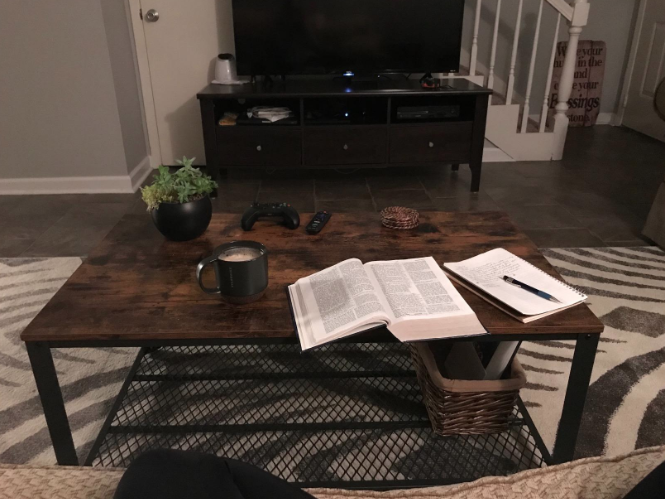 This reviewer used it in their entry way and slid their shoes under it to reduce clutter and keep everything organized. 6. A vanity dresser and stool set because you should be excited to wake up and get ready in a place that's just for you. 7. 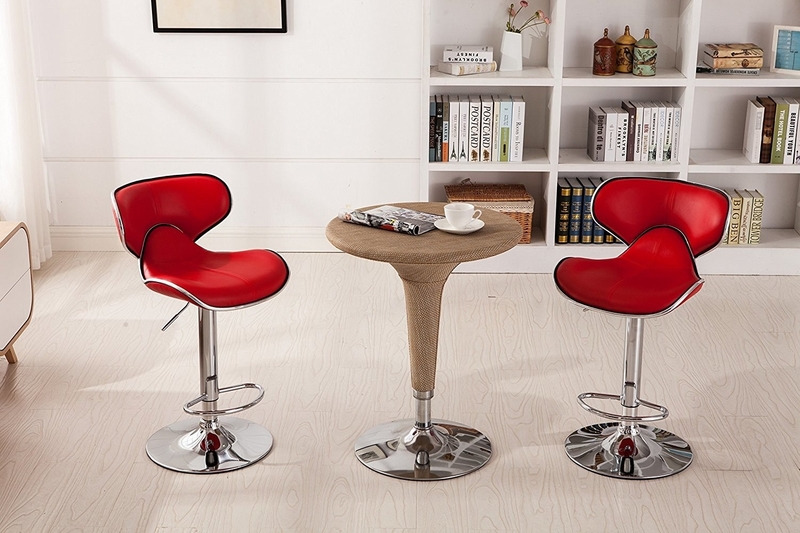 A pair of funky, cushioned barstools that'll add a fun flair to your kitchen while still being super functional. 8. 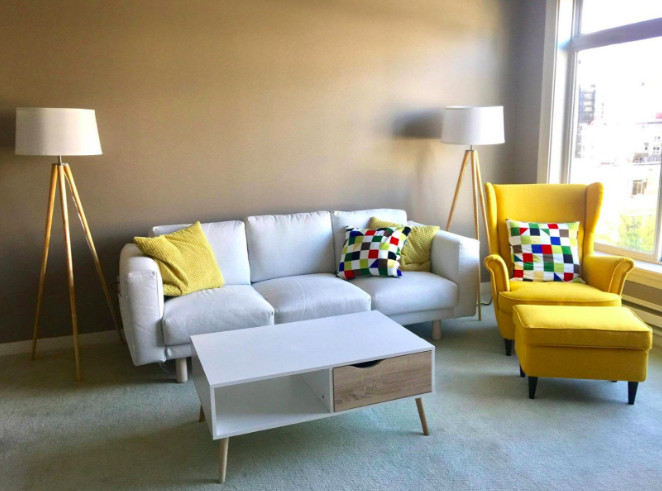 A stylish mid-mod sectional you can adjust to perfectly fit your living room layout. 9. 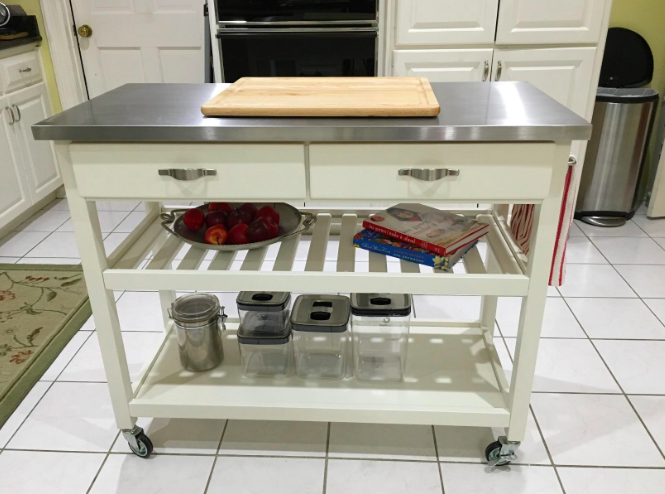 A multifunctional utility cart for food prepping or providing extra kitchen storage (your microwave can finally have a home away from the counters!). And get creative! 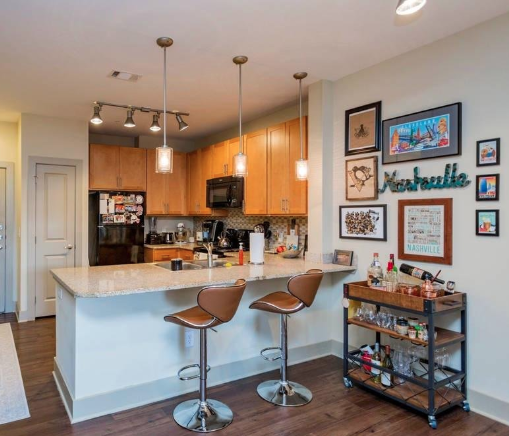 This reviewer painted their stand white to match their kitchen. "Perfect island for our kitchen. I painted it white and it worked perfectly. I took a small piece to Sherwin Williams for advice. They recommended lightly sanding each piece, painting with a primer, and then painting with ProClassic Waterbased Acrylic-Alkyd paint. It worked great. 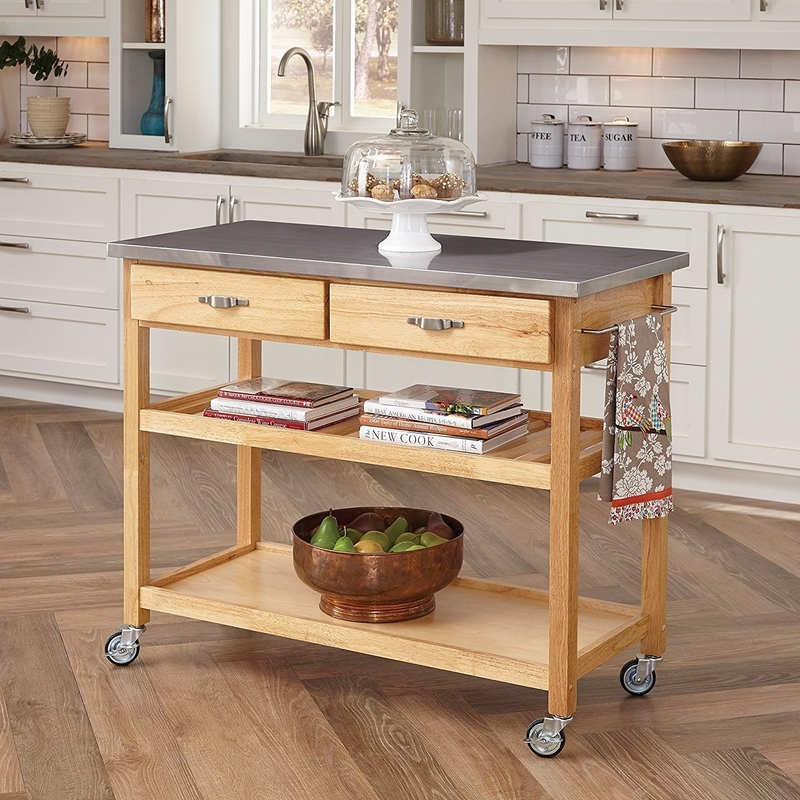 The island is sturdy, and the drawers are huge. I lined the drawers with silver contact paper that matches the stainless steel top. The wheels lock in place, I love that we can move it around if needed. 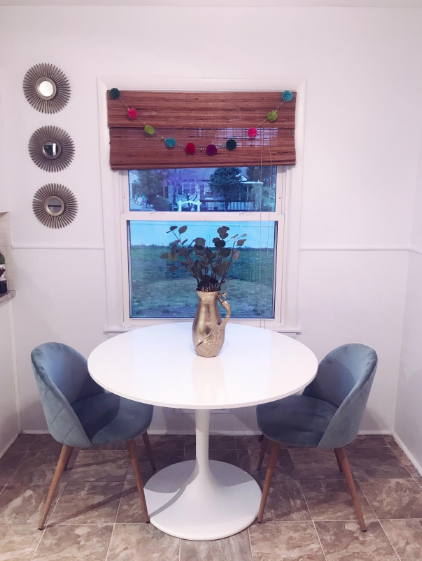 We had been looking for the right island for our kitchen for over a year, and this was it!" —Laura S.
10. 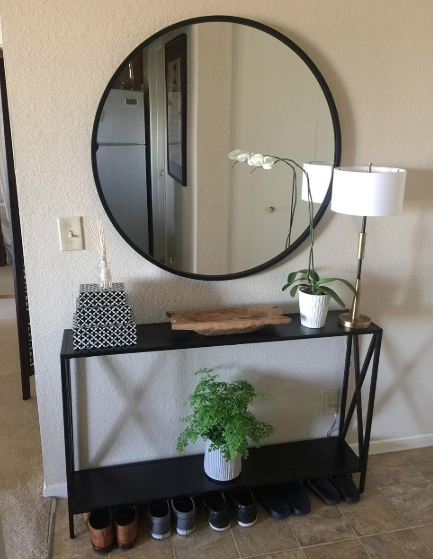 An adorable tufted standing mirror to make outfit checks easy and breezy. 11. An actually cute storage side table with whicker baskets so you can upgrade from those plastic drawers you still have from college. 12. 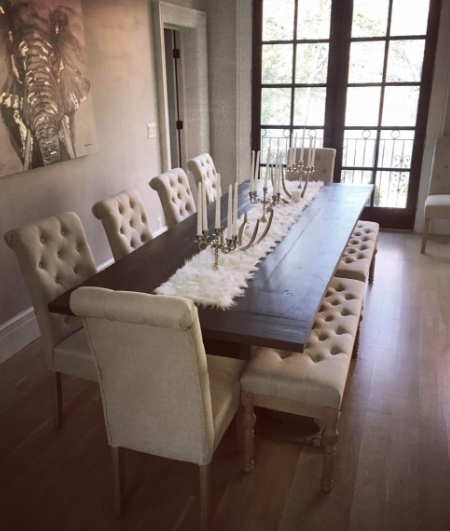 A set of two trendy as hell, velvet accent chairs that can serve as seating around the dining table or at your desk. 13. 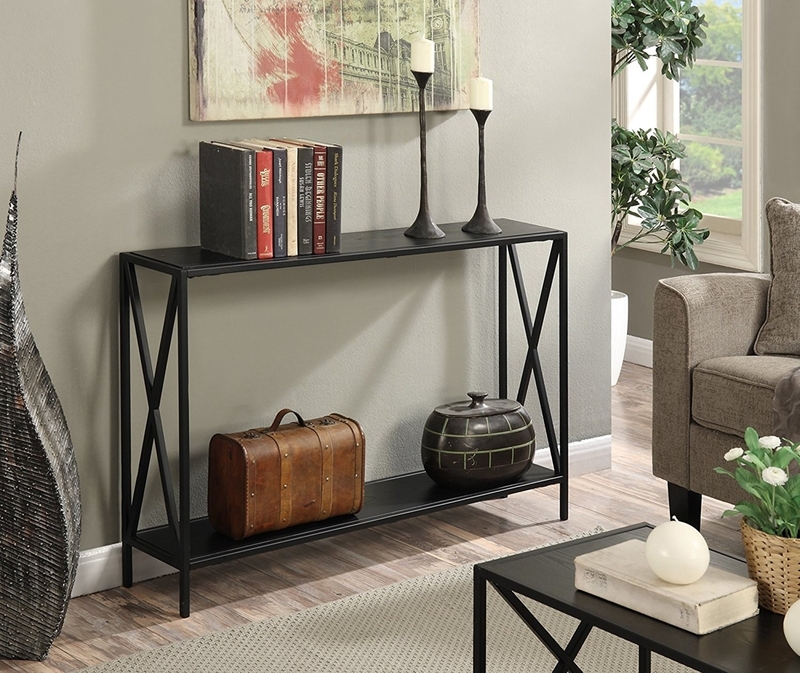 ~Acute~ geometric metal and mirror end table to add a subtle chicness to your living room. 14. An antique-inspired iron headboard that'll have you dreamin' in style. 15. A stunning champagne-color mirror with a medallion-stamped pattern because mirrors can and should be considered wall art. Promising review: "Great quality, we really love our mirror. It is well made and it arrived excellently packed. 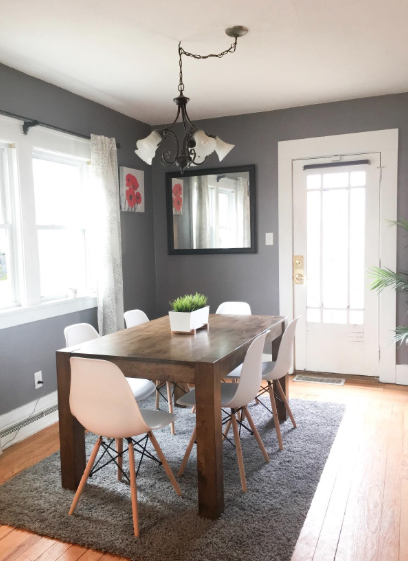 The only issue is that we ordered this mirror because of its color (silver) to put on our gray background wall. The silver accent looks more like gold. We won’t be returning/easy fix: Rust-Oleum Ultra Cover Premium Metallic Paint." 16. A modern, five-tier bookshelf that can easily be styled up with baskets and other small decor. 17. An entryway hall tree to keep your clothes, shoes, and jackets from piling up into a big mess by your front door. 18. 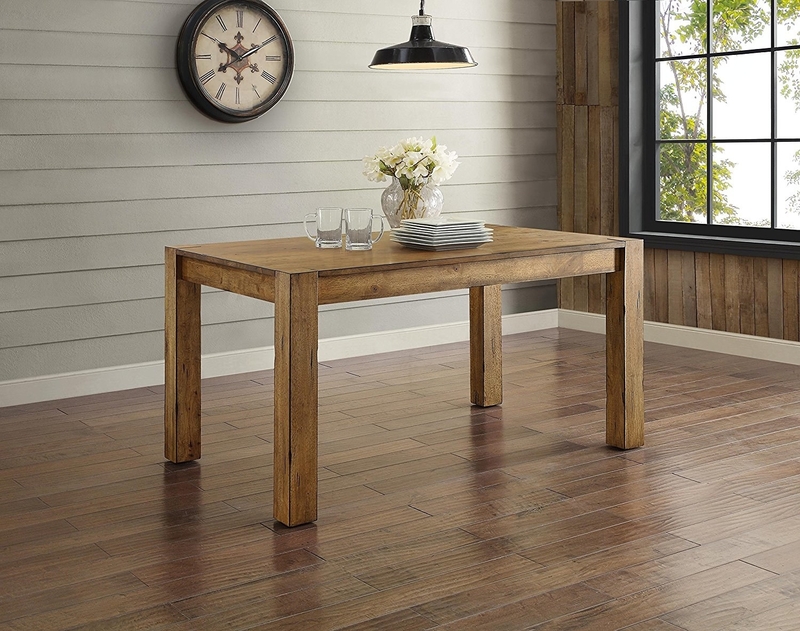 A rustic-style dining table that'll fool your guests into thinking you dropped a ton of money on it. Get matching benches for $118.57 each. 19. 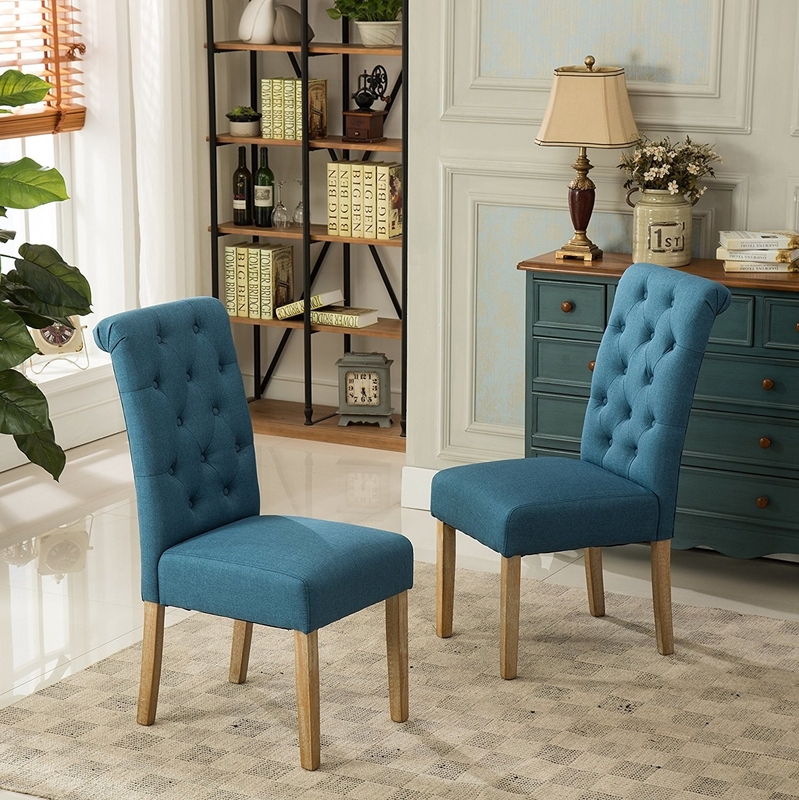 And a set of two upholstered Parsons dining chairs that — again — your visitors will never believe you got for such a good price. 20. 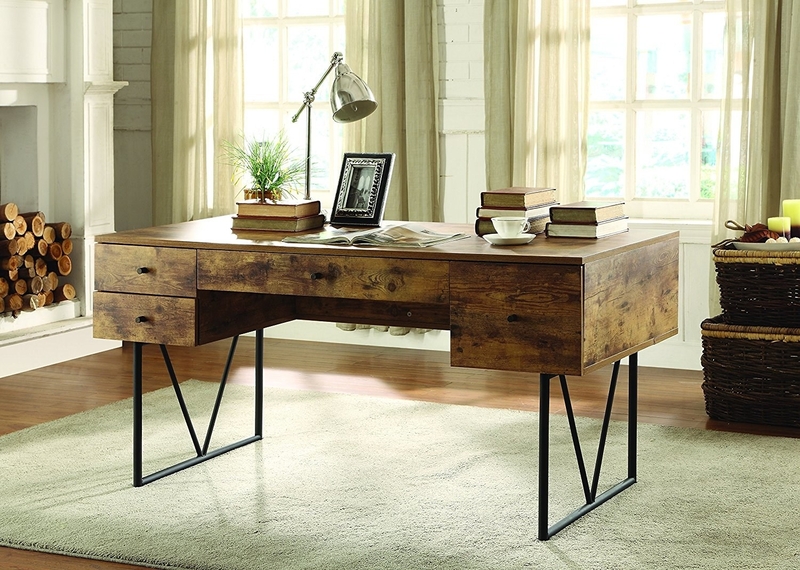 A gorgeous wood desk with a unique bookshelf in the back so you have plenty of space for all your office essentials. Get the smaller version in the same style for $174.42. 21. A sleek canopy bed because you deserve to sleep like royalty. 22. A storage ottoman that can double as a foot rest or more seating so it's not only stylish, but useful as heck. 23. 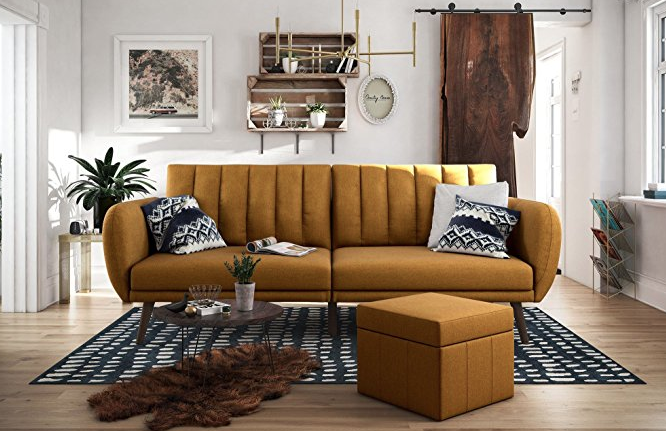 An incredibly pretty futon (I never thought those words would go together) perfect for small spaces. 24. 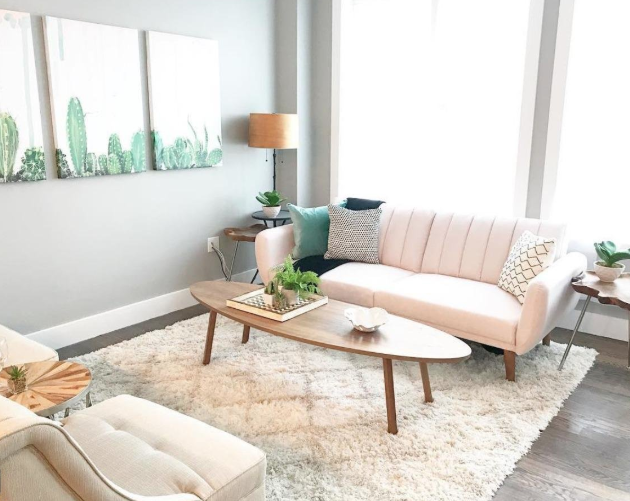 A faux marble coffee table that'll make you actually want to get up so you can sit in your glam living room and drink a hot cup of brew. 25. A narrow sideboard with drawers and plenty of room to store miscellaneous home items...or to have a massive buffet just for yourself. 26. 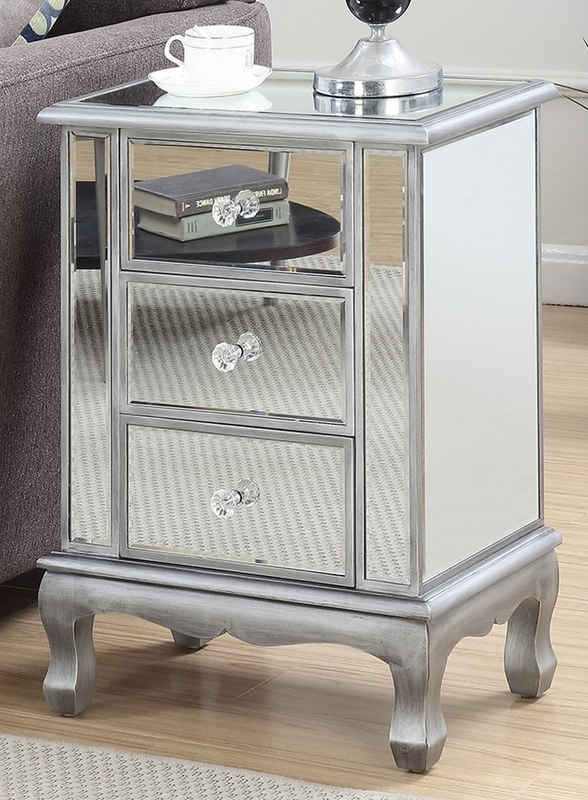 A mirror nightstand or end table so your glamorous taste is reflected (literally) in your home decor. 27. A bamboo utility shelf that can ONLY be used for your plants. Ok, I am joking (kind of), but just look how lovely this lil' green family is! 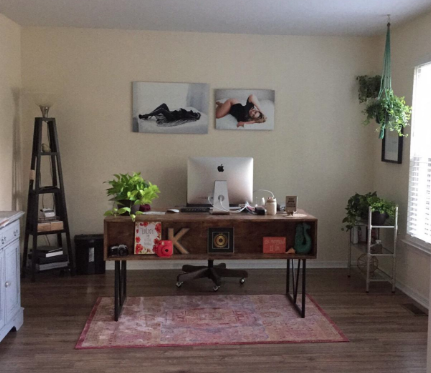 Promising review: "I have a new hobby: succulents! I share an apartment porch with a next door apartment, so I needed something like this to keep all my little plants organized but looking good. The quality of the bamboo felt great and it was overall easy to assemble once you figured out the general scheme of things. If you are a little unsteady with your hands, I would recommend a friend to help hold the first few pieces to get you started, but otherwise everything went better than I expected. Great shelf, and my apartment neighbor already commented she might want one for herself!" —James G.
28. 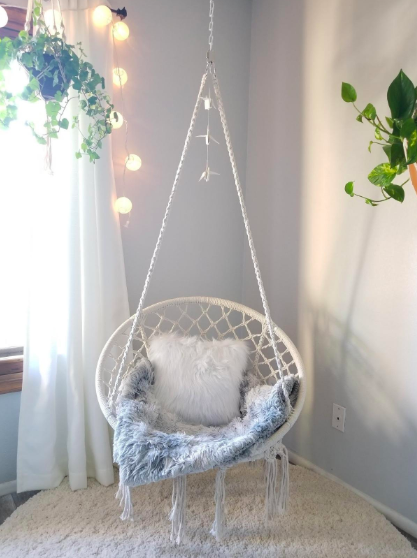 A macrame hanging chair so freakin' cute that you'll never want to leave your room. Psst! This can also be hung outside, too. 29. A simple bench with space to store shoes because you can never have *too* much seating OR storage. 30. 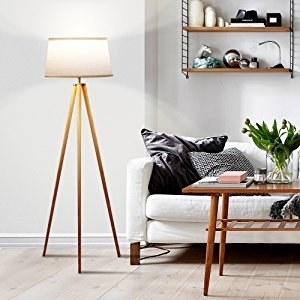 A mid-modern floor lamp for creating a calming ambiance — you know, because overhead lighting is awful and I will not hear otherwise. 31. And lastly, a gold bar cart that can easily be spray painted another color to match your other decor — but most importantly, to hold your finest of wines and glasses.